Last workshop was held on Sat, 08 Dec . Next workshop will be announced shortly. One day session. Limited number of seats. All the necessary material will be supplied. You don't need to bring anything. 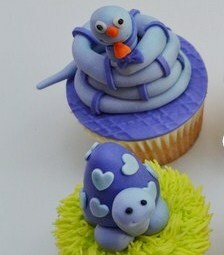 32 degree Studio is dedicated to the art of crafting fine chocolates and specializes in theme based cakes and cupcakes. At their workshop individuals are equipped with varied aspects of cake making, which begins with fine tuning recipes, working with fondant/sugar paste, modeling chocolate, gum paste and much more. Unique designs such as 2D, 3D figurines, patchwork are taught at the same time encouraging individuals to participate with fresh ideas and work flexibly with the designs. Each course is tailored for individuals with differential skill sets. 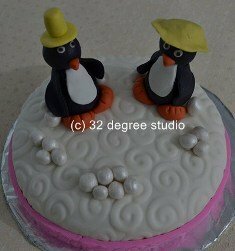 At the beginners level relatively simpler designs are chosen to get you confident with handling sugar paste and tools comfortably. This prepares you to explore intermediate and advance level designing with greater ease and flexibility. All the workshops are conducted by Mr. Rakesh Saini who is certified professional chocolatier (California, USA) and sugar artist (London, UK). He has lived in UK for 6 years. He has also served as consulting cake decorator to restaurants. We have requested 32 Degree Studio to get in touch with you. Alternatively you can speak to Rakesh Saini from 32 Degree Studio at: +91-9819616050 , in case you would like an immediate response. 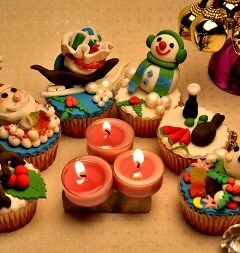 You will now stay updated about, Christmas Cupcakes Workshop.